Installing your own water heater can be difficult at times, if your going to take on the challenge, here’s your guide to water heater installation do’s and don’ts. You need hot water for many aspects of your life. If you’re installing your own water heater, here’s your guide to water heater installation do’s and don’ts. 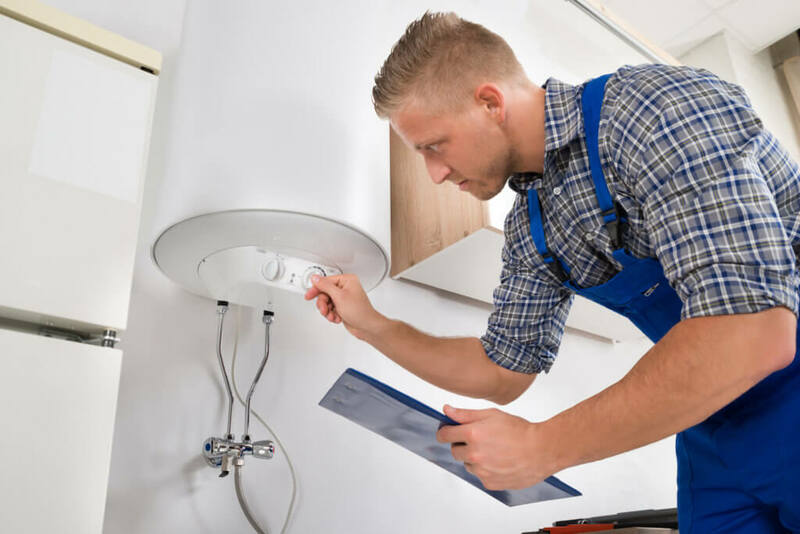 You might be handy around the house, but when it comes to water heater installation do’s and don’ts, it’s best to learn a thing or two from the pros. Think of it this way: if you do install the water heater wrong, you may need to replace it, and that’s a $1,000 bill no one is eager to pay. Here, we break down a few key water heater installation do’s and don’ts if you’re thinking of DIY-ing it. First, let’s cover what you should be doing. As a rule, when it comes to water heater installation do’s and don’ts, safety should always come first. Use the proper tools and a safe setup. If it seems like a bad idea, that’s because it probably is. Don’t do it. Generally, if you have any plumbing experience, you should be reasonably equipped to hold your own against a water heater. Still, be prepared for this project to take a little while–at least half a day if you have a lot of plumbing experience, longer if you don’t. Do not pass Go and collect a functional water heater if you haven’t taken the appropriate preventative measures. This is for safety and frugality alike. Because let’s be honest, who doesn’t want to save a bit of money? One easy example of this is using an insulating jacket for your water heater and the attached pipes. Like an insulated jacket for a human, this jacket will help keep heat in the water heater so you don’t have to run the heat all the time (and deal with the steep heating bill). Another example is regularly testing your water for hard water and contaminants. This is better for your health and your bills–hard water is more difficult to heat. It seems like the most basic advice of all the water heater installation do’s and don’ts, but installing a water heater is not a one-size-fits-all situation. The sizing you need to do is different based on the system you have. For example, if you’re sizing a demand water heater, you need to figure out the flow rate and temperature rise for the heater to work properly. On the other hand, if you’re sizing a solar water heater, you need to determine the total collector area and storage volume. Everybody likes a hot morning shower. You still have to know the temperature guidelines for your water heater. Preferably when you install it. As a rule, your water heater should never exceed 120 degrees Fahrenheit. No one needs a shower that hot–water at that temperature will scald you. You should also test out how to turn your water heater up and down when you install it. This is important so you know how to do it when you need to–especially if you’re going away on a trip for a few days. Now that we’ve covered what you should be doing, let’s talk about what you shouldn’t be doing. As we mentioned before, if it seems like a bad idea, it probably is. Don’t do it. If you don’t have any plumbing experience or aren’t especially handy, we wouldn’t recommend trying to install your own water heater. You’re going to wind up with a giant mess, a lot of grief, and a water heater that definitely doesn’t work. Seriously. You won’t save yourself any money trying to DIY it if you don’t know what you’re doing. Pay the bill to have someone else do it. For everyone else, let’s proceed. This applies to your initial installation process and the lifetime of your water heater. You wouldn’t install a water heater without making sure it’s in proper working order first, right? So why would you let a water heater run without checking that it’s in proper working order? For those who don’t know: the simple fact of running water is not an automatic sign that all is well with your water heater. This is a multi-step process, and each step should be treated with the appropriate level of care and attention. Click here for a complete breakdown of how to maintain your water heater. On a related note, don’t be that person who procrastinates on calling for repairs. Or doing repairs. You’re not doing yourself any favors. The problem won’t go away. Think of it this way: if your air conditioner malfunctioned, you wouldn’t hesitate to call a repairman right away. The same logic applies to a water heater, especially if you don’t know how to fix it yourself. Seriously. The problem isn’t going to go away. If anything, it’s probably going to get worse over time, and then you’re staring down the barrel of a bigger repair bill. It’s not worth it. If you were under the faulty impression that the best place for your water heater is that crowded corner of your basement where your kids dump all their toys on top of the boxes of old holiday decorations, consult your favorite list of water heater installation do’s and don’ts and think again. This is a massive fire hazard. If water can get hot enough to burn you, it can certainly get the heater warm enough to light combustible materials on fire. Keep everything a minimum of 18 inches away from the water heater at all times. The last thing you need in your life is a house fire after you install your water heater. Ready to move forward with your installation? No longer convinced you can handle the installation yourself? We serve homes, businesses, and industrial buildings throughout the Omaha area. If you need to request a service or consultation, don’t hesitate to get in touch. Or, if you have a question that we can answer about water heater installation (or a variety of maintenance topics), call (402) 731-2727 to get in touch.